2. In a large bowl, combine the beef, egg, onion, milk and bread. Season with salt and pepper to taste and place in a lightly greased muffin pan. 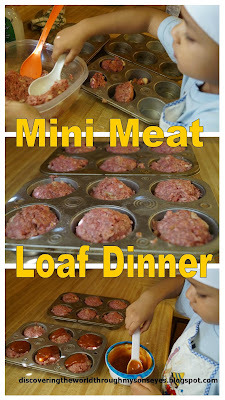 (I used 2 muffin pans makes 12 mini meat loaves). 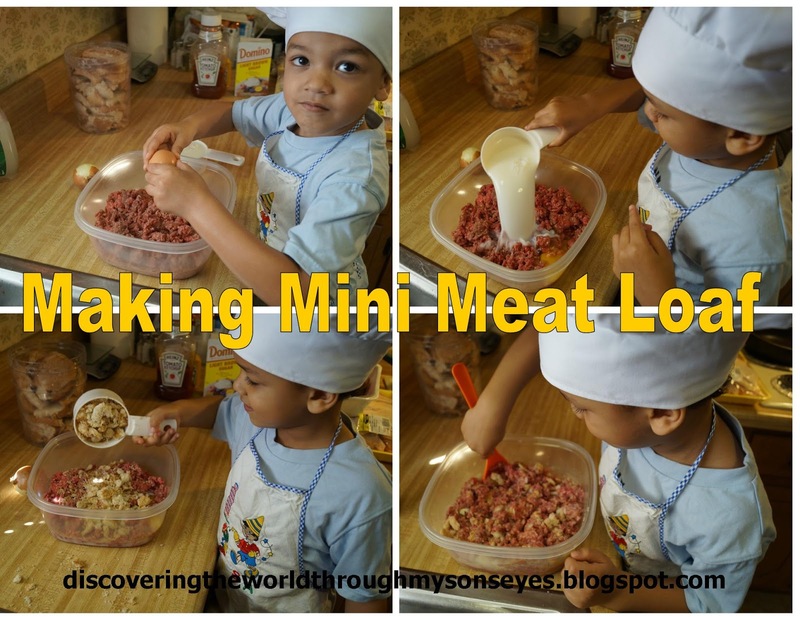 Recipe was adapted to a healthier version using fat free milk, whole wheat bread, and lean ground beef. Original can be found here. Of course, little man was hands-on making the meat loaf! After he was done with his task, I took over the kitchen to make the mashed potatoes, and green beans. I boiled potatoes and mashed them with my rice masher. Then I cooked some green beans, and made some gravy. 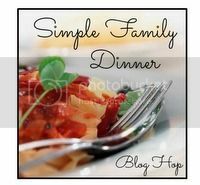 I’m telling you my family has enjoyed eating this simple family dinner. Hope you will too! 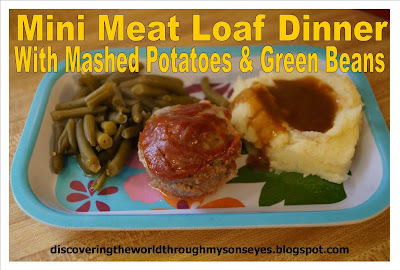 Yum – we love meatloaf and I think my girls would really like your mini version. Previous Post: Happy Birthday Dr. Seuss! A Birthday Celebration!